We love including our guests in projects around the lodge from time to time. 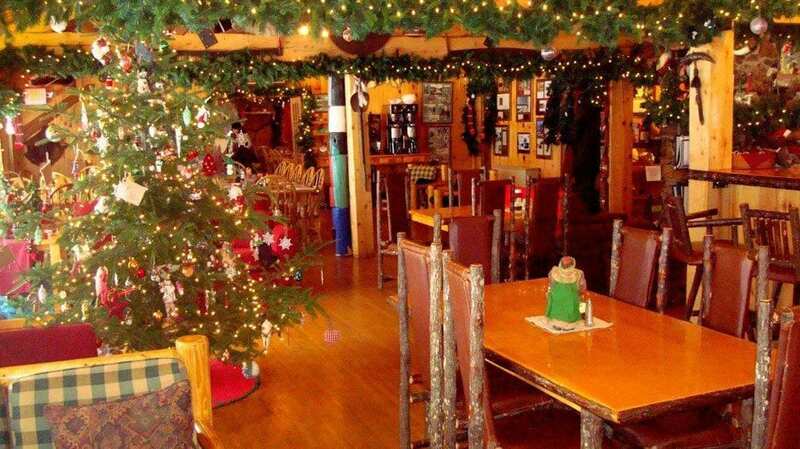 This is the weekend we start to make the lodge come alive for the upcoming Christmas season. If Christmas is “your thing” you won’t want to miss out on this fun event. We have two big trees to decorate and over 1,000 feet of garland to hang. The Santa and nativity collections need to be arranged, and the lights need to be hung. We’ll all pitch in together for a few hours starting at 9 a.m. Saturday. By the time we finish the lodge will be a winter wonderland. On the first weekend of December, we’ll focus on decorating the Lodge with the garlands, Christmas trees, lights, nativity and Santa collections. On the second weekend of December, we’ll focus on wreath making for the Lodge. On either weekend you are also welcome to make a fresh balsam wreath for yourself too, a fragrant reminder of your time here that will last throughout the holiday season. Package info coming soon. Stay tuned for more details!